Designers and manufacturers of racing and cruising sails, covers, and accessories for all marine craft. We combine state-of-the-art design technology, with an expert team, to produce high quality products designed to perform and built to last. All our products are custom built at our specially designed sail loft, based at the heart of Scottish Sailing in Largs Yacht Haven. First sail of the Atomik UK High Performance Composites Lithium. 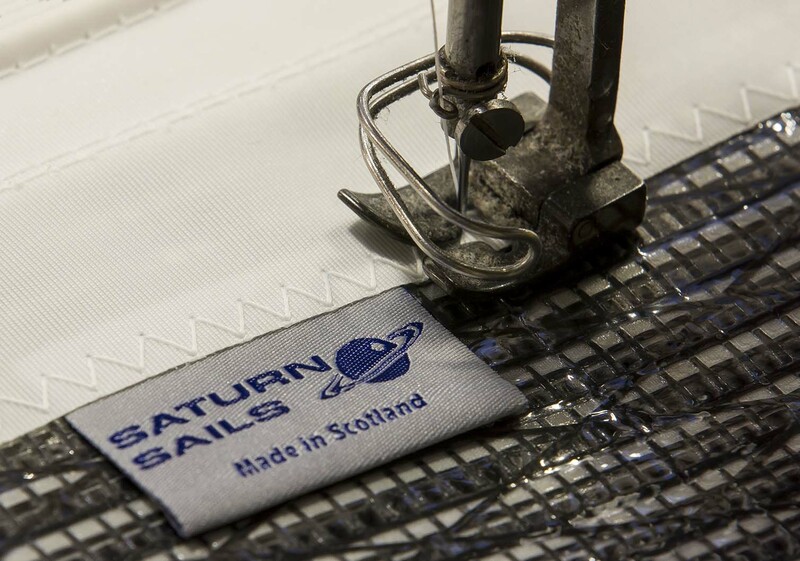 powered by the new Saturn Sails FLS-2 sail. The sky is your limit now! Looks awsome! “This is just a quick note to say thankyou to you and your company for the great job you carried out on Allegro. are We very pleased with the result, and its all down to the attention to details you gave to all our requests, right from the start. The result is that we now have a range of options from your creation: full canopy, sun awning, bimini. The little ‘flap’ under the helmsmans seat is the final touch. The sails are Fantastic, thank you very much.